In her Rolex Sydney Hobart debut, this state-of-the-art 30m maxi with canting ballast twin foil (CBTF) took line honours in record time and won the Tattersall’s Cup – the only boat to take the trifecta since Rani in the first race in 1945. Wild Oats XI achieved the hat trick of line honours wins last year equaling Morna’s record achieved in the 1946-1948 races. Wild Oats XI will return to attempt a fourth successive line honours win and write themselves into the history books. Wild Oats XI will undergo special modifications aimed at making the 30 metre Reichel/Pugh designed maxi even faster. Skipper Mark Richards believes Wild Oats XI could sail the 628 nautical mile race in under 24 hours if the weather conditions are right, thereby beating her own race record of 1 day 18 hours 40 minutes and 10 seconds set in 2005. The outstanding crew line up boasts 231 Hobarts collectively and includes Iain Murray, Steve Jarvin, Robbie Naismith, Adrienne Cahalan, Michael Coxon and Matt Shillington. 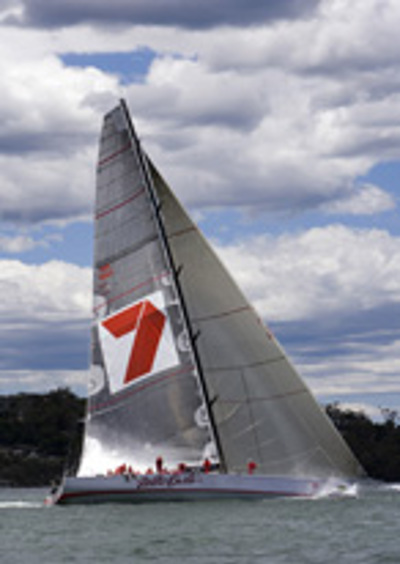 Link here to a profile by Rob Brown on Wild Oats XI.